we are manufacturing and offer wide range of motor cooling fan for frame 90 to 355 motor, 1 hp to 1000 hp , we provide best quality of cast aluminum with ms bush. Owing to the wide experience of this domain, we are instrumental in offering Panel Cooling Fan to our clients. We have carved a niche amongst the most dominant names in this domain, instrumental in providing excellent quality range of Cooling Fan. 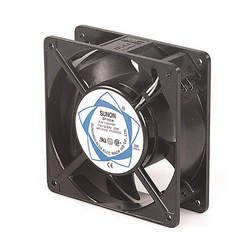 A cooling fan is any fan inside, or attached to, a electronic devices used for active cooling, and may refer to fans that draw cooler air into the case from the outside, expel warm air from inside, or move air across a heat sink to cool a particular component. Generally these are found in axial and sometimes centrifugal forms. Matching up with the ever increasing requirements of the customers, our company is engaged in providing Induction Cooling Fan. Our organization is successfully ranked topmost among the notable suppliers of Rexnord Fan. The provided fans are extensively demanded for use in different industries for cooling purpose.Besides this, our clients can avail the offered Rexnord Fan in different designs, colors and sizes at industry leading price from us. Mass Rack offers Cooling Fans which draws 90 CFM air from the cabinet. Single, dual and four fan options are available. We bring forth for our clients, a dimensionally accurate range of cooler fans that is integrated in home coolers. 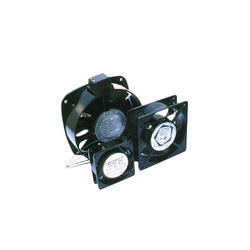 These fans are made from dynamic balanced blades so that they deliver hassle free and noiseless operation. Available in the sizes of 15" (380 mm), 18" (450 mm) and 20" (500 mm), these fans can be customized to suit the specific requirements of our clients.